There are so many little reasons we can all be thankful for this season, but we might not think of them right off the top of our heads. Let’s be serious, how often do you wake up and think about how great you feel? It never happens. We take things like that for GRANTED. It’s only when we have a cold do we realize how fabulous it feels to be able to breathe so freely! I’ve been there – I’m not judging! 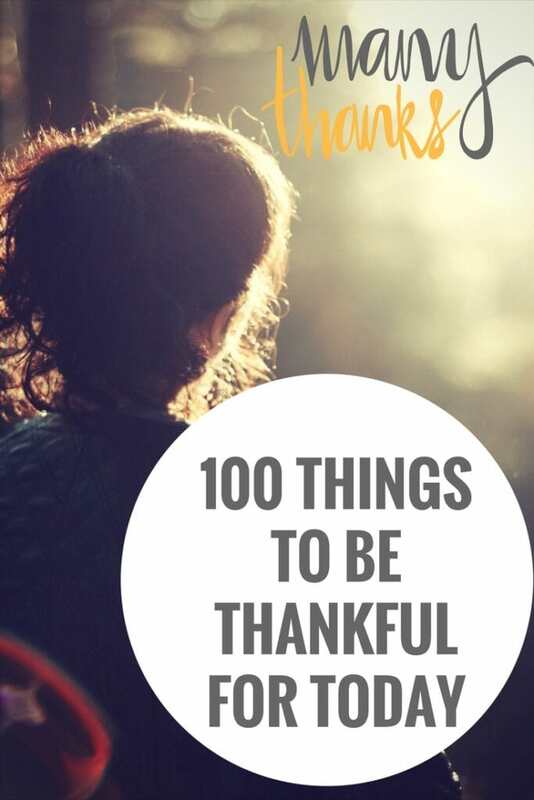 Today, I wanted to write up a post and highlight 100 things to be thankful for because we can all use a little reminder every now and then. If you are looking for a little guidance in this department, check out my list of things to be thankful for below. Do you have anything you’d like to add to my Things To Be Thankful For list?